This anti-estrogen drug is a part of the Aromatase Inhibitor family. Aromatase Inhibitors are known as AIs. Arimidex (Anastrozole) was developed in during the early part of the 1990s, by a company known as Zenaca Pharmaceuticals. It was launched in 1995 under the brand name, Arimidex. This anti-estrogen is the AI which is used the most. It’s a popular choice in the AI marketplace. 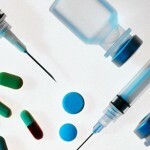 Commonly chosen as a treatment for breast cancer patients, it’s also a medication that a lot of steroid users rely on. For breast cancer treatment, Arimidex is considered to be more effective than Nolvadex (the trade name for Tamoxifen Citrate). Steroid users depend on Arimidex to minimize estrogenic side effects from anabolic steroids. 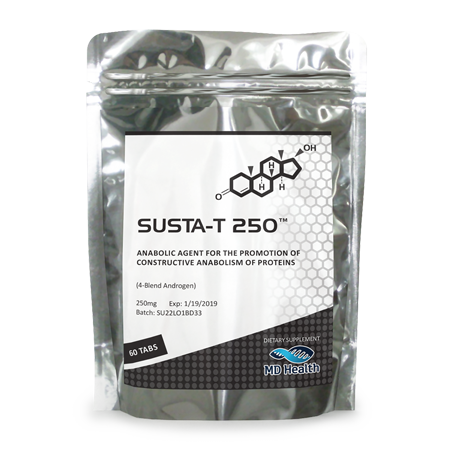 It offers cycle estrogenic protection to anabolic steroid users. A variety of anabolics have the capacity to aromatase and this means more estrogen production. Estrogen levels may become excessive. When levels of estrogen are excessive, the most common side effects of using steroids often manifest. The drug, Arimidex, helps to minimize or eliminate estrogen-related side effects. This medication offers powerful functions and characteristics. It blocks an enzyme called aromatase, which triggers estrogen production. When Arimidex inhibits the process of Aromatase, it decreases serum estrogen levels in the human body. This drug has the capacity to suppress estrogen by up to eighty percent. The functions and characteristics of Arimidex help many patients with breast cancer and also assist users of anabolic steroids. In addition, Arimidex will stimulate the release of LH (Luteinizing Hormone), as well as the release of FSH (Follicle Stimulating Hormone). 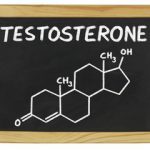 This pair of hormones are vital when it comes to the production of natural testosterone. Due to these hormone-stimulating properties, Arimidex is sometimes prescribed in patients who have low testosterone. It’s prescribed instead of testosterone. However, Arimidex may not be the best choice for patients with low testosterone. When added to a treatment plan for low testosterone, better outcomes may happen when the medication is combined with testosterone therapy. Since Arimidex is anti-estrogenic, it offers hope to breast cancer patients. Breast cancer feeds off the hormone, estrogen. When Arimidex is utilized, it may “starve” cancer cells by depriving them of estrogen. For many years, Nolvadex was utilized in order to offer the same type of effect. Nolvadex will bind to receptors for estrogen and this stops the hormone itself from binding. However, Arimidex inhibits estrogen production and decreases the quantity of estrogen that circulates. With Arimidex, there isn’t estrogen circulating which may harm a patient with breast cancer. As of late, this medication has become the most popular anti-estrogen drug for the trreatment of breast cancer which is “hormone receptor-positive”. In particular, it’s commonly prescribed for females who are past menopause. After the cancer subsides, a patient may also be asked to take Nolvadex, which is brought into the therapy in order to keep cancer away. With regard to users of anabolic steroids, Arimidex effects are widely valued. The medication protects against side effects which are estrogenic-related. A lot of anabolics have the capacity to trigger side effects which are estrogenic. This is because of the way that the hormone, testosterone, interacts with the enzyme, aromatase. When aromatization begins, levels of estrogen go up. This may cause bloating and/or gynecomastia. If bloating (water retention which is excessive) occurs, it may elevate blood pressure levels in a way that is unhealthy. 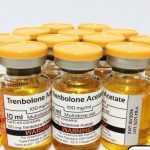 While there are some anabolic steroids which don’t aromatize, and therefore don’t cause estrogenic side effects, most do have the capacity to spark activity which is estrogenic. 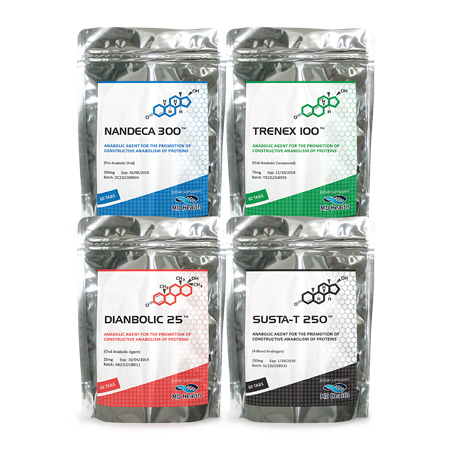 Examples of popular steroids which do promote activity which is estrogenic include Boldelone, Nandrolone and Dianabol. The degree of estrogenic activity promoted by these three anabolic steroids is less than the amount of estrogenic activity promoted by testosterone. When a steroid user adds Arimidex to an anabolic steroid cycle which features steroids that are aromatizing, the user will be able to guard against side effects which are estrogenic, including excess water retention and gynecomastia (excess breast tissue in males). It’s still possible for certain steroids to trigger high blood pressure, even if they don’t cause water retention. However, severe water retention does tend to be the #1 trigger for high blood pressure in steroid users. AIs, such as Arimidex, are very effective in terms of offering anti-estrogenic effects. They combat a range of side effects which are related to estrogen. SERMs act on receptors for estrogen. Nolvadex is a SERM. Nolvadex is also helpful, although it doesn’t offer the same powerful anti-estrogenic properties as Arimidex. While Artimidex is the most effective option, it’s important to note that Arimidex may negatively impact cholesterol levels. This medication may cause side effects. Most side effects which are related to usage of Arimidex are “response-related”. In other words, some people tolerate Arimidex better than others. People who utilize Arimidex without also using steroids that are anabolic sometimes experience fatigue and weakness. These symptoms are probably the most commonly-experienced side effects. Steroid users who use low-dose Arimidex will probably not experience fatigue and weakness. It may happen during competition cycles or hard cutting cycles. This is because calories are typically cut during these training phases and training is usually quite intensive. Other possible side effects of this drug include hot flashes, high blood pressure, joint pain, headaches, depression and sick stomach (with or without vomiting). As well, this drug may decrease the mineral content in bones, which may put a person with this side effect at risk for osteoporosis. 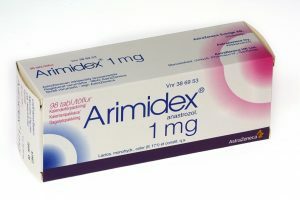 A typical dosage of Arimidex is 1mg per day, until cancer is deemed to have subsided in females. This administration can go on for months and years. 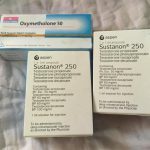 Those who use this medication along with anabolic steroids to control estrognic side effects, usually take 0.5mg every 2 days or 0.5mg orally every other day. 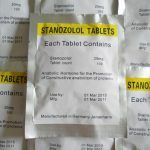 This amount of Anastrozole has been shown in male studies to lower estrogen by 40-50%. Combined with a testosterone injectable 0.5mg every other day should suffice. Arimidex is available by prescription only in the U.S, but available for “research”. However, there is a black market for the drug and various counterfeits and UGL versions are out there. People should take care when considering the sources for this powerful medication. Research chemical companies product liquid Anastrozole at 0.5-1mg/ml. Labelled for “research” and not for human consumption in the Unites States. In the United Kingdom, Arimidex is a prescription only medication and drug. It’s often purchased on the black market in tablet form produced by a pharmaceutical company. Many underground labs (UGLs) carry Arimidex forms as this AI is one of the most popular around with Aromasin (Exemestane).